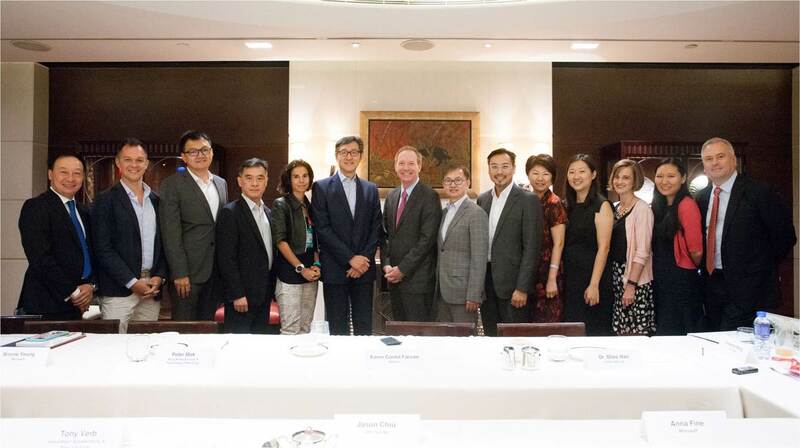 [Hong Kong] Jason Chiu, Cherrypicks’ Chief Executive Officer, invited to join the Exclusive Roundtable Discussion with Brad Smith, Microsoft’s President and Chief Legal Officer on 11 Jul. The roundtable discussion present with an exclusive group of senior executives in the local technology industry, startup incubators and accelerators, and venture capitalists exchanged ideas and discussed on “Opportunities and challenges for Startups from Hong Kong – Greater Bay Area, China and Beyond”. Brad also shared his views based on his international experiences and understanding of global industry trends, and latest developments on artificial intelligence and edge computing.